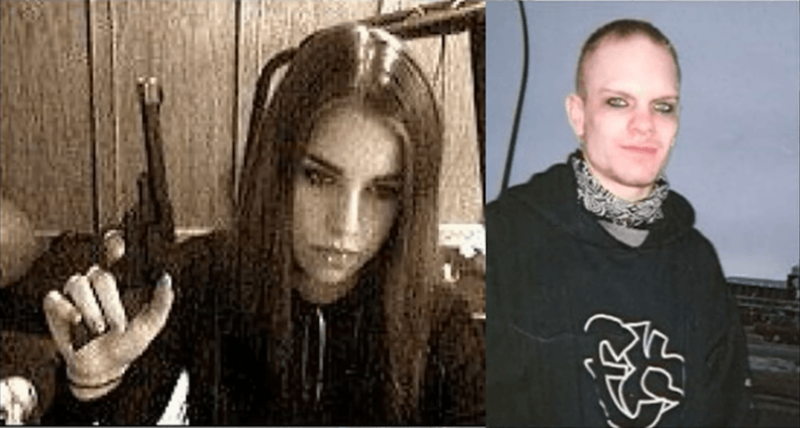 As Jasmine Richardson's relationship with her boyfriend Jeremey Steinke grew, so did their heinous plan to massacre her family. In April 2006, in Medicine Hat, Canada, everyone in Jasmine Richardson’s family was killed except her. But her life wasn’t miraculously spared nor was she heartbroken. That’s because the deaths of the Richardson family were the result of a murder at the hands of 12-year-old Jasmine and her 23-year-old boyfriend, Jeremey Steinke. The horrifying killings shocked not only the 60,000 person community but the entire nation. Charged with three counts of first-degree murder, Jasmine Richardson was the youngest person convicted on multiple counts of murder in Canada’s history. In 2016, she was set free. Why did a young girl carry out these unthinkable crimes? And why was she able to walk free? Jasmine Richardson and Jeremy Steinke met at a punk rock show. 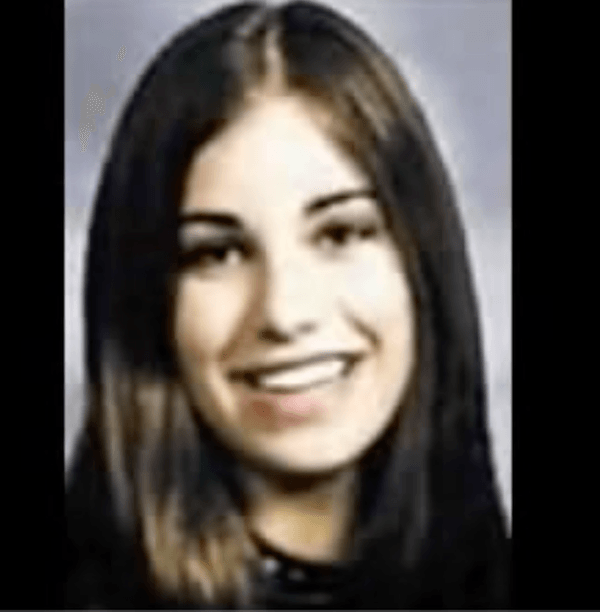 Before Richardson met Steinke, she was described as a happy and social girl. However, that changed once Richardson began seeing the 23-year-old Steinke, who was 11 years older. Richardson was instantly taken with the goth lifestyle as she’d become a member on the website VampireFreaks.com and would wear dark makeup to make her look much older than she was. Steinke’s own upbringing wasn’t as wholesome as Richardson’s. His mother was an alcoholic, and her partner abused Steinke. Kids at school bullied him and by the time he met Richardson, he had already attempted suicide. YouTubeAn early photo of Jasmine Richardson. 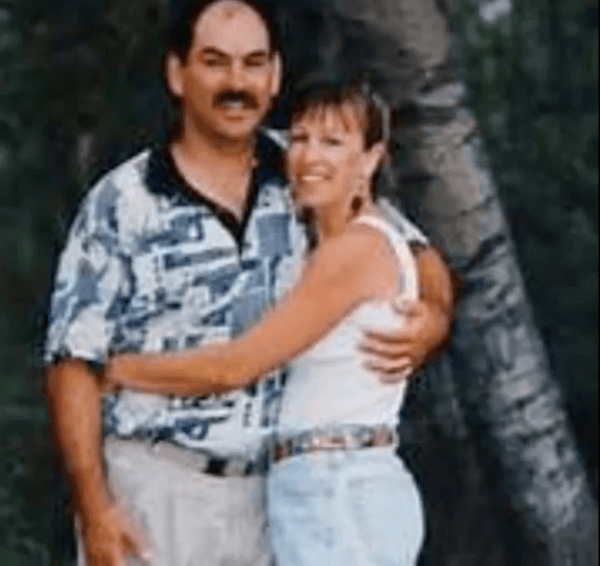 When Jasmine Richardson’s parents, Marc and Debra, found out about the relationship, they prohibited their daughter from seeing Steinke. But according to police reports, it was Richardson who first proposed the plan. In an email, she told Steinke she had a plan. “It begins with me killing them and ends with me living with you,” she wrote. Richardson reportedly told friends about the plans to kill her parents, but they either didn’t believe her or thought she was joking. The night before the murders, the duo watched Oliver Stone’s 1994 film Natural Born Killers. 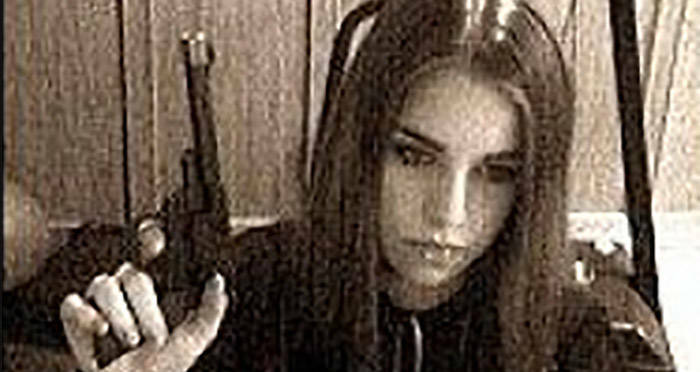 Then, on April 23, 2006, at her parent’s home on a quiet residential street in Medicine Hat, Jasmine Richardson and her boyfriend followed through with their massacre. The next day, a neighbor told reporters that a young boy went over to his friend’s house – Richardson’s little brother – and thought he saw a body through the window. He ran home and told his mother, who then called the police. Inspector Brent Secondiak arrived on the scene and looked into a basement window where he saw at least one person on the ground. He called other officers for backup, thinking they may be able to save someone in the house. But nobody inside was alive; Marc Richardson, Debra Richardson, and their eight-year-old son had all been brutally murdered. And one family member, the 12-year-old daughter of the dead couple, was missing from the scene. “It wasn’t even in the realm of possibility that she was an accused,” said Secondiak. Piecing the events together, the police found that Debra was killed first after being stabbed at last a dozen times. Marc fought back with a screwdriver but was stabbed to death as well. Both parent’s bodies were found in the basement. Upstairs in his blood-soaked bed, the youngest Richardson had his throat slashed open. Fearing Jasmine Richardson was a victim too, the police released a statement that said they were searching for the Richardson’s daughter “regarding a serious family matter” and sent out an Amber Alert. But after recovering evidence in her room and locker, investigators realized she was the prime suspect. A trail of digital evidence led to Jasmine Richardson and Jeremy Steinke, mainly consisting of the email exchanges between the two. They were tracked down and arrested in Steinke’s truck. It was indicated that Steinke killed Richardson’s parents downstairs, while she was upstairs in her brother’s room. At her 2007 trial, Richardson, who was only identified as J.R. at the time because of her age, pleaded not guilty. She said she had “hypothetical” conversations about killing her family, but didn’t intend on ever going through with it. But she was found guilty by a jury for three counts of first-degree murder and given the maximum sentence for a youth — six years in jail followed by four years of supervision in the community. She was 13 by the time she was convicted. In 2008, Steinke was convicted of three counts of first-degree murder as well. As he was 25 at the time of the conviction, he was sentenced to life in prison without parole for 25 years. The couple exchanged letters from jail, promising to marry. None of the letters expressed guilt or remorse. Richardson underwent extensive rehabilitation and treatment after she was sentenced. Psychiatric assessments revealed she was diagnosed with conduct disorder and oppositional defiant disorder. In 2016, at just a year younger than her partner-in-crime was when they committed the homicides, Richardson was freed from the criminal justice system. Next read about Issei Sagawa, the cannibal killer who walked free. Then read about Rose Blanchard, the “sick” child who killed her even “sicker” mother.